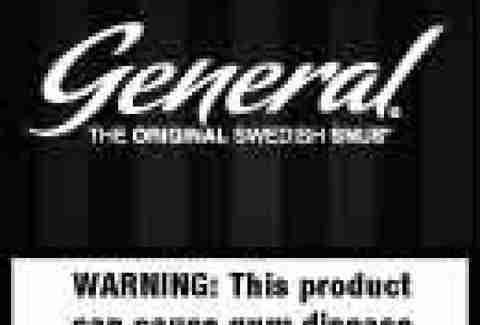 Meet General SNUS: the smokeless tobacco that’s been pleasing European enthusiasts since 1850 -- so regardless of its Swedish homeland, you can rest assured there's nothing -ish about it. Rhyming with “introduce” -- as in, precisely what we’re trying to do right here -- snus is a form of tobacco tucked into the upper lip, providing a richly flavored tingle that goes anywhere you do, and delivers discreet, convenient tobacco satisfaction without the need to spit. Infused with bergamot oil for a better, more unique taste than its peers, the 22-tobacco blend's available in eight different forms and flavors -- from pre-portioned to loose, from the Classic Blend to Nordic Mint -- because even marauding Vikings have concerns about bad breath. 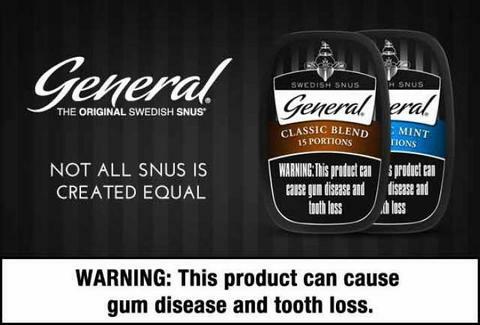 Give General SNUS a like on Facebook, or check their website to learn the legend of Johan Boman and his quest to make the perfect snus, as well as exclusive offers and where to buy. Grace your lip with a helping of history, with General SNUS, and let 162 years of Swedish know-how give you a satisfying 30-minute tingle.